Be prepared to travel through a Galaxy of Stars…quilts that are absolutely heavenly at Gate City Quilt Guild’s Quilt Show. More than 100 quilts and quilted items will be displayed including challenge quilts which foster creativity. 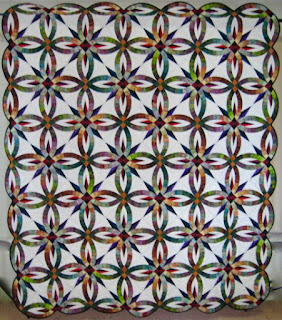 This year you can win a Judy Niemeyer Bali Wedding Star quilt, a PFAFF sewing machine donated by Sew Happy (McKinney Sew and Vac) or a fabulous basket of fabrics and a complimentary 30 minute massage. After shopping in the Marketplace of sought after vendors and at the Boutique of crafted items, enjoy a chair massage (http://restoreyourbalance.biz) or bid on some fabulous Silent Auction quilts and other items to benefit Mary’s House (a shelter for women in recovery from substance abuse). The show is October 14 & 15 9:30am - 5:00pm at the Congregational United Church of Christ, 400 N. Radiance Dr., Greensboro, 27403. 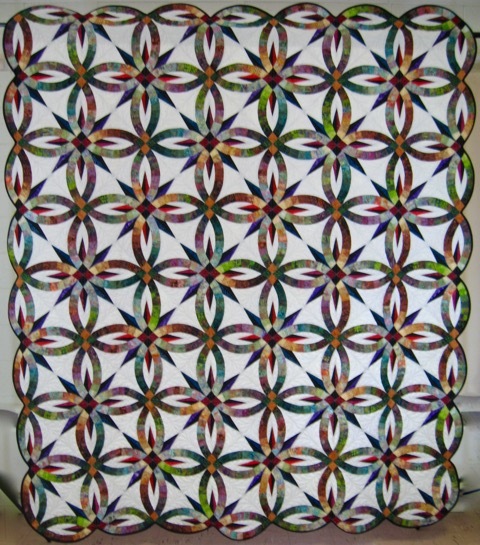 Admission is $6 and a discount coupon is available at www.gatecityquiltguild.org."